Use the tool below to see for yourself how whitening gets noticed. The ZOOM!® Advanced Power Chairside Tooth Whitening System gives you the opportunity to get you smile an average of 8 shades whiter in 45 minutes. 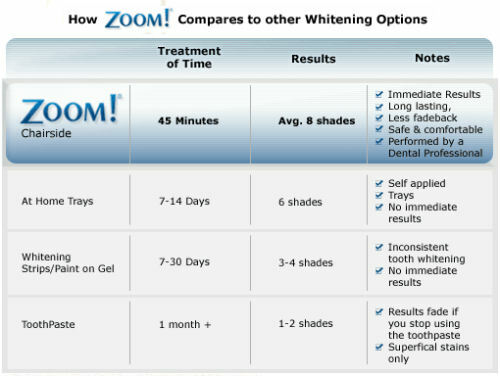 Other whitening systems don’t compare to The ZOOM!® Advanced Power Chairside Tooth Whitening System.